Last week, a gay couple posted some pictures on Instagram (like they usually do) and sparked an internet-wide conversation. Some were smitten with the image of the couple doing their girls’ hair. Others were appalled because gay appalls them. So really, people repeated the arguments they’ve already been making. Personally, I didn’t get the fuss. It’s 2014. It seems like everyday another state is legislating gay marriage into existence or a court is striking down anti-gay marriage laws. What land do people live in where the image of a normal family with 2 dads is that far outside of reality that it goes viral? Then the new Bachelor opened his mouth. 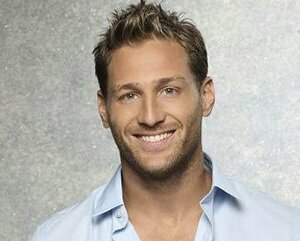 In an interview for The TV Page, Juan Pablo Galavis said that he is 100% against there being a gay or bisexual Bachelor. He thinks gay people having children is “confusing.” He even went so far to say that they are “more pervert in a sense.” Clearly, stereotypes have endurance. Galavis posted an apology within the day that his interview was released. He said that he misspoke because English is his second language. What he really meant to say was that “gay people are more affectionate and intense and for a segment of the TV audience this would be too racy to accept.” Because that stereotypical representation was better. When will America wake up and realize that the 1950’s are gone? We don’t live in Norman Rockwell paintings, and people are not made to fit into convenient boxes. Just like other minorities, the LGBT community wants to be recognized for what it’s members are, diverse and varied individuals. That’s it. Perez Hilton and RuPaul are not the end all when it comes to the LGBT community. For every flamboyant TV persona, there is another that simply works a 9-5. For every “passionate and intense” person, there is a conservative, Log Cabin Republican. For every sexually liberal person, there is another that places value in chastity. And that’s a universal constant for all people. To not accept that is to reject reality. I am not my hair. I am not this skin. I am not your expectation … I am the soul that lives within. Regardless of race, gender, sexual identity, or creed, people are people. Accept it. Deal with it. And move on with your life. January 22, 2014 Obama + BET = No Racism?